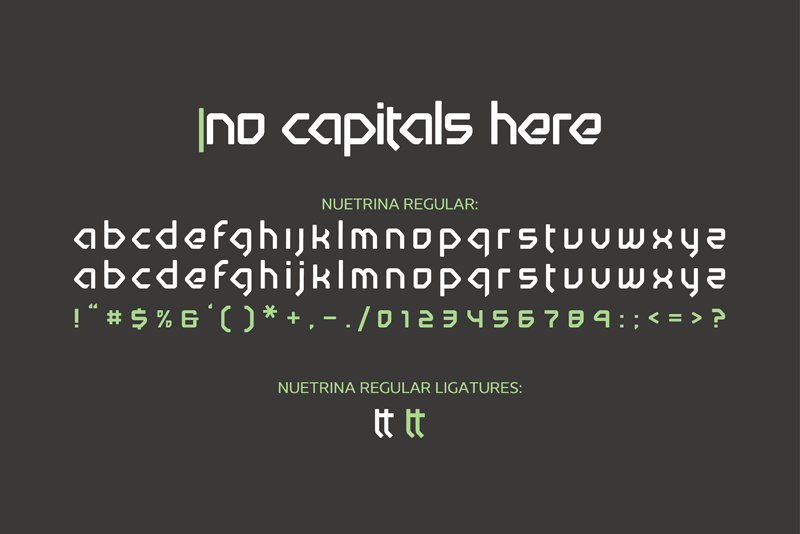 The first characters from Nuetrina came from a logo design I did for a client. It wasn’t chosen as the logo. Oh well. I decided to build out the entire alphabet. Before I knew it an entire display typeface was created. It’s lower case only. Sorry, no shouting with this one. Works well for logos, headlines and short passages of copy. Free to use for personal projects, one-time donation via PayPal for commercial projects.